Provide comfort for the family of Kristin Gitler with a meaningful gesture of sympathy. 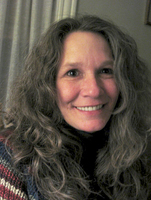 Kristin Gitler of Manlius, NY, passed away Saturday, March 30, 2019 at 59, surrounded by her son, nephews, companion and a best friend. She was born in NY, NY, daughter of the late Norman and Jewel (McNeil) Gitler. They moved from NY to Southbury, CT and then settled in Washington Depot, CT.
Kristin attended Syracuse University for Language Arts, and later returned to SUNY IT, to earn a BS in Computer Information Systems. She worked as a web developer and then a scrum master at ITX Corp. For many years she built and maintained the Smucker's online store. She enjoyed Revolutionary War re-enacting, played and taught others to play historical instruments. 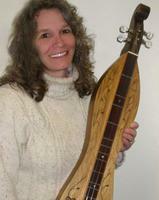 Her passion was the Mountain Dulcimer. She shared her love of music with others through teaching, recording and playing, including playing in an Irish Fiddle Tune Group where she met her beloved companion, David. Together they released CD's and books of traditional tunes as "Kristin and David." Kristin had an earthy, natural, beautiful smile. She took delight in whatever you had to share, made friends quickly and effortlessly. Lung cancer took her from us far too soon. She was predeceased by her parents and her big sister Kathi'Ann McNeil. Kristin is survived by her beloved son, Joe Labucki of Syracuse; nephew, Raymond Ranieri (Meaghan Lonegan) and their children Liam and Reese of Bethlehem, CT and nephew, Daniel Hatstat of Washington Depot, CT; many best friends; and her companion, David Goldman of Syracuse. Family and friends may call from 2:00 to 4:00 pm on Saturday, April 13th at Newell-Fay Manlius Chapel, 8171 Cazenovia Rd., Manlius. Everyone is welcome to stay for the memorial service which will follow the calling hours. We encourage you to share your most beloved memories of Kristin here, so that the family and other loved ones can always see it. You can upload cherished photographs, or share your favorite stories, and can even comment on those shared by others. Sincerest condolences to family and friends. Kristen and I went to middle school together. Her mom took us to decoupage classes. Kristen and I lost touch for many yrs, but I had called her mom every yr around Xmas time, until she stopped answering. They’re all together now mom and daughters. RIP Kristen.